Pokemon Sun and Moon has arrived in North America, and if you’re wondering how best to get started, here’s a few helpful tips. In the video above, Arekkz gives you seven tips on the game. These range from refreshing your cures status effects to acquiring Munchlax. When in a Pokemon battle and inflicted with a Status Effect, such as poison or paralysis, know that these can persist once the battle is finished. To rid your Pokemon of the affliction, you can use the new Refresh system to cure it as opposed to using an item. When you complete a Pokemon battle, on the bottom screen a tab will come down and it features a little hand brush next to a Pikachu icon. If you press Y, the tab will turn pink. Once the cutscene from the battle is finished, you will be taken straight to Pokemon Refresh. This is basically a mini-game which allows you to play with and groom your Pokemon. Located in this section is a set of tweezers with a sponge on the end, which you can use on your Pokemon to remove the status effect. While in Refresh, you can also feed them Poke Beans or Malasada, the latter of which can be picked up at cafes in each town. As Alex noted in his beginner tips, a spoiled Pokemon is a happy Pokemon. To do this, you just go into Refresh at any point via the menu and scroll to the second page. From here, you can interact with any of the six Pokemon you have on your team at the time. Selecting each will show a chart with the following entries: Affection, Fullness and Enjoyment. The more you interact with your Pokemon, the more it will like you, and once it does, it can produce positive effects in battle. For example: if a Pokemon has high affection for you, it will have a chance to dodge some attacks. Also, there is a chance that if an enemy pulls off a move which normally defeats your Pokemon in battle, the move will instead drop your Pokemon to one hit point instead of defeating it. This means it is still in the battle and has a fighting chance. Riding Pokemon has returned in Sun and Moon, and if you happened to play the demo, you will have seen this in action. Certain creatures can be ridden in the game in order to help you achieve things which you otherwise cannot accomplish on your own. For example: if you come across water which you cannot cross on your own, call upon Lapras. You can then hop on its back and it will surf through the water. Various Pokemon will help you on such journeys. 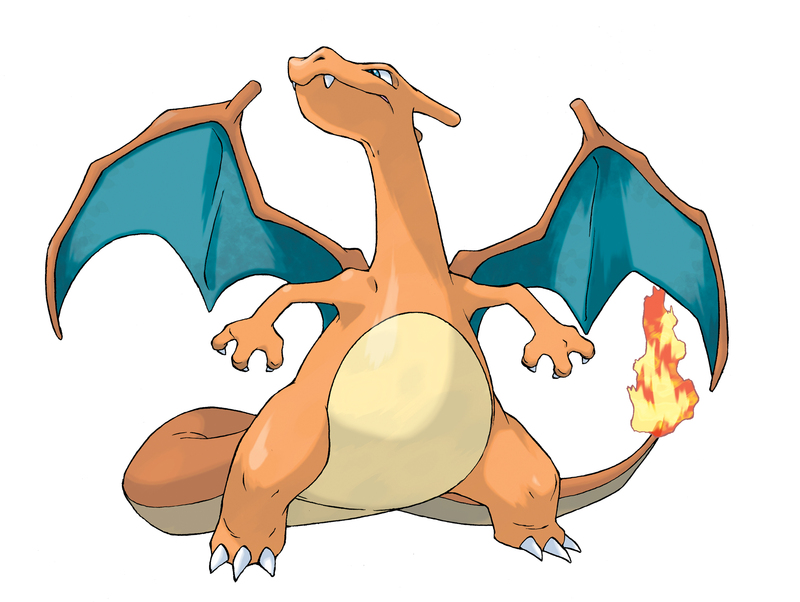 Charizard can fly; Mudsdale can walk on rocky terrain; Stoutland can find hidden items with its nose; Tauros can break blocks and run through them; and Sharpedo can not only surf through water rather fast, it can also jump and crash into rocks. You can also use these Pokemon for the sole purpose of getting around in a faster manner if you like. Once you gain the ability, you can call upon these Pokemon whenever you need them – but they cannot be added to your party. To call upon them in the quickest manner possible, don’t just hit the Y button and scroll through the list – map them to the four directional options on the D-pad. To do this, pull up the menu which shows the Pokemon you can ride. You will see a D-pad icon on the left side of each entry. It is a mapping button, and when you click it, the four directional buttons will pop and you can map the Pokemon you chose to said direction. This will allow you to swap between each on the fly. In Pokemon Sun and Moon, the bottom screen is full of information. During battle, you can click on your Pokemon or the enemy Pokemon to check out its Type, Stats, or any Debuffs it has applied. For example: if a Pokemon has used an ability to raise its attack, you can click on the Pokemon and a chart will pop up below the battle screen. You will then see an arrow which will show whether the opponent has raised a particular stat. Paying attention to this feature will come in handy when participating in a rather long battle and will help you keep track of the various statuses, buffs and the like. If you have fought a particular Pokemon before, the screen will also show whether your previous attacks against it were or were not effective. This will allow you to choose your moves better, and know whether or not using certain abilities against it are a waste of time. One more thing: this also comes in handy when trying to catch Pokemon, as you don’t want to use a move which will defeat it. Otherwise, you won’t be able to catch it. While cosmetic features in Pokemon Sun and Moon won’t help you during battle, if you like to customize characters in your games, this is an option. When visiting the first city in the game, Hau’oli, you will find both a barber and clothing shop. In the clothing shop you can preview the items before choosing which ones you like. Unfortunately, in the Barber Shop you cannot preview the various hairstyles. Haircuts are rather expensive: they can set you back anywhere from 4,000 to 5,000 Pokemon Dollars depending on whether you purchased a cut or a cut and color. If you would like to see which options are available beforehand, Arekkz shows you some of the hairstyle options in the video starting around the 6:12 mark. Similar to a Favorites List, if you go into your bag you will see a heart icon that when clicked will take you to a Free Space page. It will be empty by default until you move select items to it. This is a handy area to put items you use more than others such as potions, revives, a Poke Ball or whatever you choose. This makes items you use the most easier to access when in battle. If you want to move an item back into the other section of your bag, you can remove it from Free Space at any point. 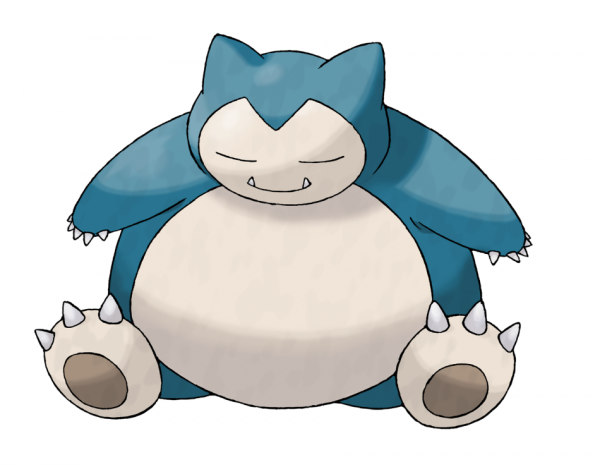 Those who purchase either Pokemon Sun or Pokemon Moon by January 11, 2017 will receive a unique Munchlax, which evolves into Pulverizing Snorlax. When holding the item Snorlium Z, Snorlax can then use a Z-Move called Pulverizing Pancake. Munchlax will also use the move Hold Back, which it could not normally learn. Hold Back is an attack move that leaves its opponent with just 1 hit point. This Pokemon will also know the move Happy Hour, another it normally couldn’t learn. When players use Happy Hour during a Trainer battle, they’ll receive twice as much prize money after the battle. In order to acquire Munchlax, you will need to download it from the Mystery Gift Store. Before you load up the game, go to the Main Menu and click Mystery Gift. Various options will then pop up. Choose “Get Via Internet” and you will then be gifted Munchlax and the Snorlium Z. Once you have done this, load up the game and head over to the Postmaster. Talk to him, and he will then hand over your Munchlax. 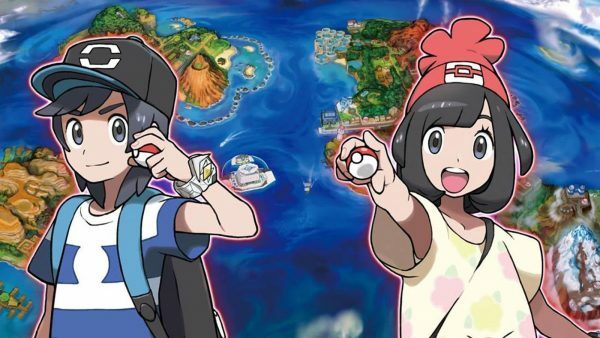 Hopefully, these seven Pokemon Sun and Moon tips will help you on your way to becoming the best Pokemon Trainer the Alola region has ever seen. If you need more tips on getting started, be sure to give our ever expanding Pokemon Sun & Moon guide a read. It provides information on the best starter Pokemon, the various QR codes, Technical Machine (TM) locations and more. Pokemon Sun and Moon were released today in North America, and it will be made available in Europe and the UK next week on November 23.